I have no water pressure what should I do? What can effect the pressure of my water? What can I do to improve pressure of my water? How do I reduce my water pressure? Will too high water pressure cause any damage? How do I detect what water pressure I have? Can I fit a water booster pump if I have low water pressure? Im getting good water pressure upstairs but not downstairs, what can this be? Who’s responsible for the pressure of my water in the home? 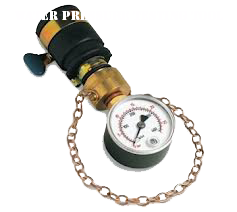 Water pressure is a compressed substance where the more compressed it is the more water pressure there will be. If you have no water pressure what so ever, it is always good to check that all valves are open. This including the mains water stop valve that in most case should be situated just outside the boundaries of the home. If there is still no pressure to the water in the house then it may be a good idea to find an emergency plumber who can open up joints to find the route of the problem. Water pressure can be effect by a high usage in the area. The morning time between 7am and 9am is when the pressure is most likely to be at it’s lowest. Water pressures can also be effect by old pipe in the ground that are crushed slowing down the flow of water through the pipes. If you have old pipes outside the house it may be able to be increase but this depends on the pressure that comes via the outside stop valve that is owned by the water board. It may be a good idea to ask the water board to get you water tested for pressure. Another way to get better water pressure may be to spend a considerable amount of money getting a special water boosting pump system set up. This can be achieve only by storing water. Once the water is stored then it is possible by getting a good water pressure by the height of the tank and the size of the pipework going to the appliances. If there is a problem to getting the gravity that is required then it is possible the use of pumps can be involved. If you find that you water pressure is too high then a good opportunity will be is to get a pressure reducing valve which can be fitted by the mains water stopcock or near to the appliance. If the water pressure is in excess of the manufacture instructions and requirement then there can be damage. Examples are: Speedfit can withstand unto 10-bar or maybe more. A boiler system can withstand 3-bar or more. If you are very interested in the pressure you have in the home then it may be a good idea to buy a water pressure testing kit as shown in the picture above. It is always good to place the testing kits next to the appliances in question. Fitting a water pressure booster to the water mains is against water bylaws and the reason being is that you can be using more than the fair share of water allocated to the home. It also invalidates the guarantee to the shower as the pressure on the pump will exceed what it is build for and most likely burn out. If you find that the water pressure is better upstair than it is downstair then is is either due to the type of feed of the tap or the obstruction that is in it’s way. This may be able to be fixed with a bit of maintenance and some you’d advice of your local plumber. If your home is below the recommended water pressure, then it may not be the responsibly of the water board unless the water pressure is found to be too low from the boundaries of the house. Causes over low water pressure. 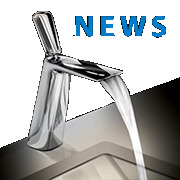 The dangers posed by high water pressure. Causes of low water pressure in the shower. Plumbing estimate on pressure reducing valve.